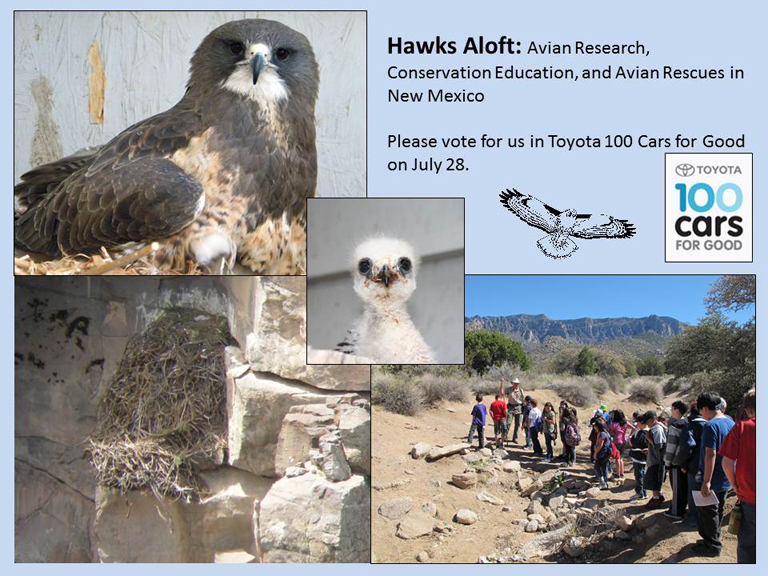 Help Hawks Aloft Win a new Sienna in the Toyota 100 Cars for Good Program! /Hawks Aloft Inc.
Help Hawks Aloft Win a new Sienna in the Toyota 100 Cars for Good Program! We don’t know much about her early history other than that she hatched in 1989, making her now 23 years old! 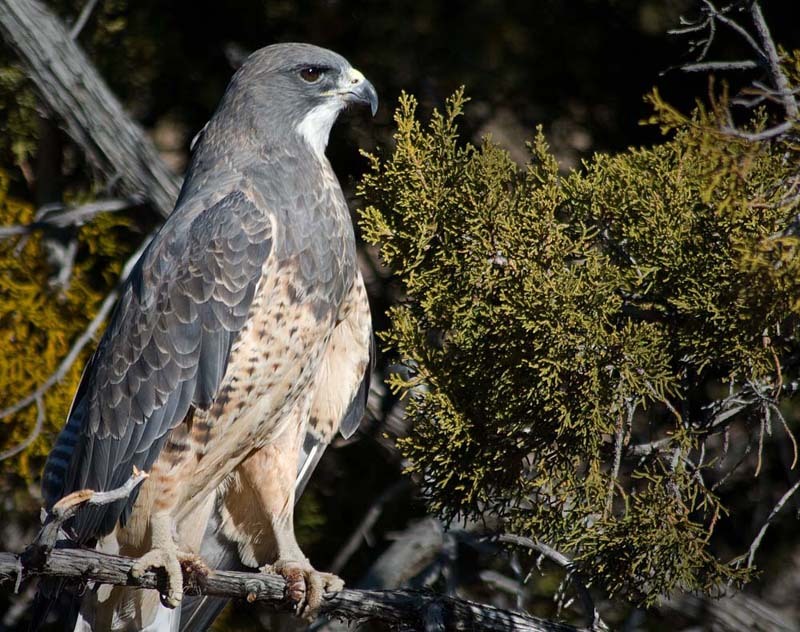 Our educational Swainson’s Hawk is a very handsome representative for her species and a huge hit at our educational programs statewide, ranging from pre-kindergarten to adult. She is one of 25-30 raptors and one American Crown that comprise our feathered staff of avian ambassadors. But for her, life revolves around parenthood! Each year, she builds a nest and lays 2-3 infertile eggs that she patiently incubates until we remove them 2-3 months later. Why do we leave them with her for so long? Well, because the presence of ‘the’ eggs keeps her in motherhood mode in case any orphaned buteos find themselves in need of a mom! 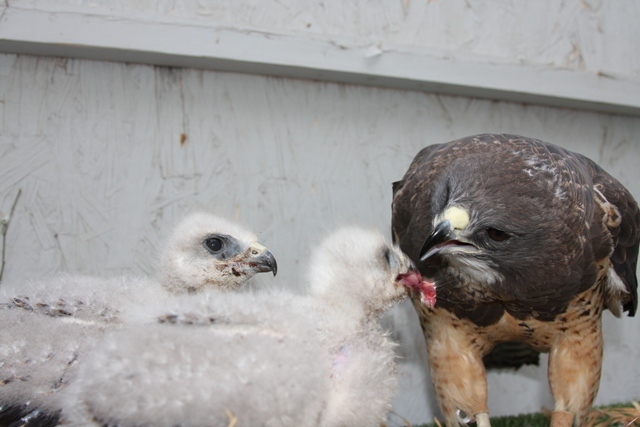 She has raised babies for many years, of several different species too, Red-tailed, Ferruginous, Harris’ and Swainson’s hawklets! We are a finalist in the Toyota 100 Cars for Good Program. Our voting day is July 28! That’s tomorrow! Please go to the Toyota website on Facebook and vote for us! Just to whet your appetite, check out our video about why we want to win a new Toyota Sienna. Thank you for voting for us! Please help us spread the word by sharing this with all of your friends and asking them to vote too!!! !